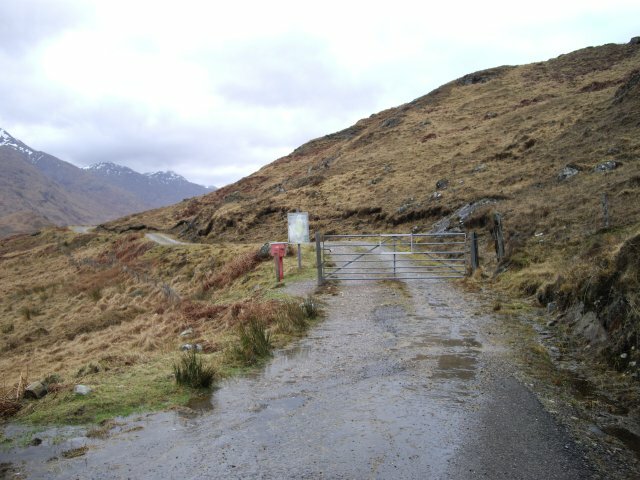 The public road down Loch Arkaig ends at this gate. All routes beyond lead into wild, remote country. © Copyright Callum Black and licensed for reuse under this Creative Commons Licence.